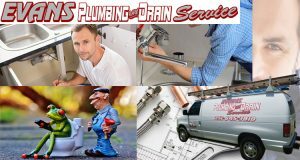 For over 16 years Evans plumbing and drain service has been taking care of residential and commercial plumbing needs in Foley AL. Not all plumbing companies can guarantee 24/7 service, superior workmanship and parts, licensed and insured experts, and courteous support from our trained professionals. There’s a reason they call Evans Plumbing and drain service. Whether you are in need of drain cleaning or would like to schedule a plumbing inspection for your home, Evans Plumbing is ready to help. Our skilled plumbers are knowledgeable and equipped with the latest tools needed to achieve optimal results. Call us Today at 251-645-3810 if you are in need of any of the services listed below. Looking for a Plumber in Foley AL.